Sick of plain old water? Many clients tell me that they don’t enjoy the taste of water because it’s flavorless. Sorry to break it to you…a healthy metabolism needs at least 8 cups of water a day! Unfortunately, most flavored waters on the market are bad for you. Here are two popular drinks that my clients ask me about. Crystal Light packets are a common “zero sugar/calorie” packet. Make sure to read ingredients because you will find many crappy additives that will damage your metabolism (aspartame, soy, artificial flavoring and coloring). Sports drinks, like Gatorade and Propel, are very popular. Again, read ingredients because you will find more unhealthy additivess, like loads of sugar, and lots of artificial colors and flavorings. On the up side, there are many ways to flavor water naturally! If you struggle with getting 8 cups of plain old water, try our fun healthier options. Infused Water: Use an infuser water bottle and add chopped fruit and herbs of your choice (such as pineapple, oranges, and/or mint). It’ll make the water taste delicious and you’ll also get some extra nutrients from the juice of the fruit. 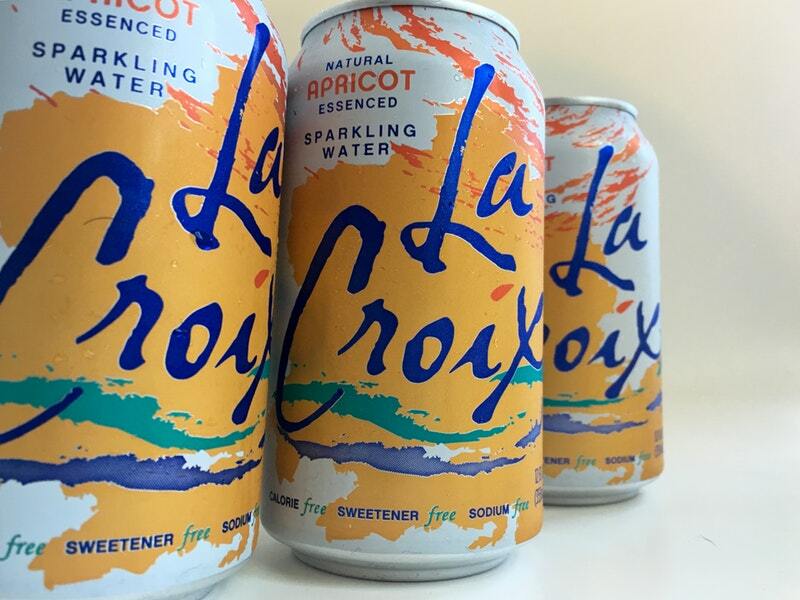 La Croix: There are many brands of flavored sparkling water (seltzer) without added sugar or artificial ingredients. La Croix is a popular one with only carbonated water and natural fruit essence flavor. Beware: Read ingredients because many seltzer brands add artificial sweeteners, like acesulfame-K and sucralose. Bai: Bai drinks are popular for their low calories, fun sweet flavors and antioxidants. To be honest, these drinks are not my favorite. They contain too much alternative sugars (stevia and erythritol) which may fuel your sweet tooth and increase your insulin. If you are transitioning from soda or sports drinks, Bai is a sweet transition. Coconut Water: Coconut water is naturally high in electrolytes, which is great for giving your body constant energy. Beware: there are many different brands and all have varying levels of sugar. Read Nutrition Facts to minimize sugar! All in all, most brands have 10 grams of sugar or more per cup so do not go overboard. Reduces stress and anxiety because of magnesium. Ingredients: Certifi­ed organic cane sugar, citric acid, Exberry® grape (natural color), natural flavors blend (açaí, other natural flavors), gum arabic (Acacia senegal) powder, malic acid, stevia leaf extract, silica. Plus a full spectrum of concentrated ionic trace minerals as found in seawater. CERTIFIED VEGAN. NON-GMO. Sweet flavors and great for post workouts. Only 1 grams of sugar. Vega Sport Electrolyte Hydrator is a similar alternative. The sweetened True Lemon contains minimal stevia and cane sugar.